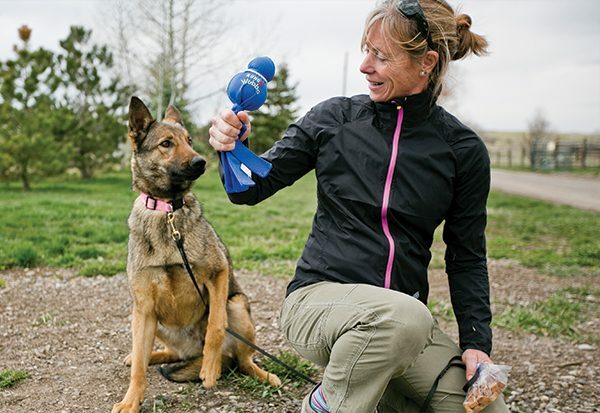 Join us for the ERC’s Spring Science Series with Working Dogs for Conservation! The Environmental Resource Center’s (ERC) 4th annual Spring Science Series offers exciting and interactive presentations on scientific topics ranging from plant and animal adaptations and life histories, to unique conservation strategies. This week of the Spring Science Series, Working Dogs for Conservation will share stories, information and a live demonstration of the vital conservation work they do. Did you know that humans have approximately 5 million scent receptors in our noses, but dogs can have upwards of 220 million? Where we experience the world visually, dogs perceived a detailed scentscape, making them extraordinarily capable of partnering with humans to solve complex conservation issues. Their dogs can detect weeds before they break the surface, animals that live below ground, and aquatic organisms invisible to the human eye. Our co-founders were the first to train dogs to detect wide-ranging carnivores non-invasively, to uncover illegal snares in Africa, and to find invasive plants, insects, and fish. Great conservation detection dogs have an obsessive play drive and an unrelenting toy focus. Their never-quit attitude makes them nearly impossible to keep in a family home, but perfect members of the WD4C family. This program is offered in conjunction with the ERC’s Spring Exploration Series which brings presenters from across the Northwest to all 2nd and 3rd grade classrooms in Blaine County during the school day. This presentation is FREE, family-friendly and open to the public! Don’t miss your opportunity to learn about the natural world from visiting experts!